In this article the water safety experts at Legionella Control International review one of the largest known outbreaks of Legionnaires’ disease. Caused by a number of untreated hot tubs used at a flower festival in Bovenkarspel, it resulted in at least 32 deaths, with a further 200 plus people affected. An outbreak of Legionnaires’ disease can affect many people, depending on the circumstances and how long it takes for the outbreak to be discovered. One of the largest ever known outbreaks of the disease to date took place in the Netherlands in 1999. It was named after the town in which it occurred, Bovenkarspel in Northern Holland. 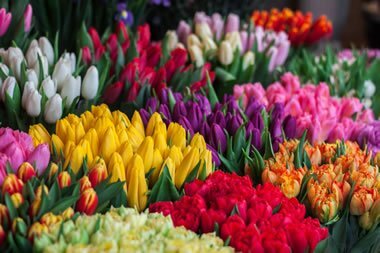 The outbreak began on 25th February that year, in the middle of the Westfriese Flora, which was later renamed as the Holland Flowers Festival. The exhibition took place indoors and attracted many hundreds of visitors. The festival ended on 28th of that month, although it would not be known for some days that anything was amiss. People who had attended Westfriese Flora began visiting doctors and being admitted to hospital a week or so into the following month. However, a Legionnaires’ disease diagnosis was not made until the Academic Medical Center in Amsterdam was called in to help. Once several patients had been diagnosed with Legionnaires’, their movements were tracked to identify a common location. The flower show was soon discovered to be the common link between them. These conditions led to Legionella bacteria taking hold and entering the air via a contaminated mist given off by the hot tubs. How many people were affected by the Bovenkarspel outbreak? A precise number of the people affected by the Bovenkarspel outbreak is not known. However, 32 deaths that could be attributed to the outbreak were confirmed. Additionally, 206 people who were affected by the outbreak survived their illnesses. There is a chance that others may have died prior to the Legionnaires’ outbreak becoming identified. Further, other cases were reported in the wider area that could conceivably have been triggered by the event. No other outbreak of Legionnaires’ disease since the original Philadelphia, USA event in 1976 has proven to be as deadly as the one in Holland. One hopes nothing remotely like it will happen again either. Our teams of water safety specialists support those responsible for the control of waterborne pathogens including Legionella bacteria in the workplace, helping them to protect people and meet their health and safety obligations in this specialist area. We deliver professional water safety risk assessments for legionella and other waterborne pathogens, water testing, independent compliance auditing, City & Guilds training and other environmental risk management services that help keep staff and others safe. Learn more about one of the largest known outbreaks of Legionnaires’ disease. Caused by a number of untreated hot tubs, it resulted in at least 32 deaths, with a further 200 plus people affected.